Travelling Trolley Frame is made out of Steel Plates joined by bolts. The four flanged wheels are of graded cast Iron, with Machine Cut Gears and they are mounted either on Gun-Metal Bush or Ball Bearings, as desired. 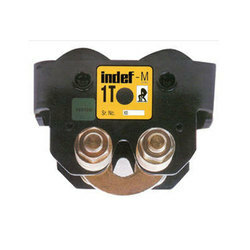 Suitable to run on lower flanges of 'I' Beam. All Trolleys are adjustable as per the required size of 'I' Beam. 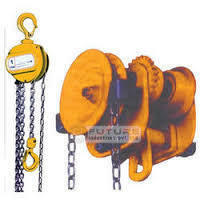 We have been counted amongst the most trusted names in this domain, engaged in providing Gear Trolley. We bring forth vast industrial experience and expertise in this business, involved in offering high quality range of Geared Traveling Trolley.